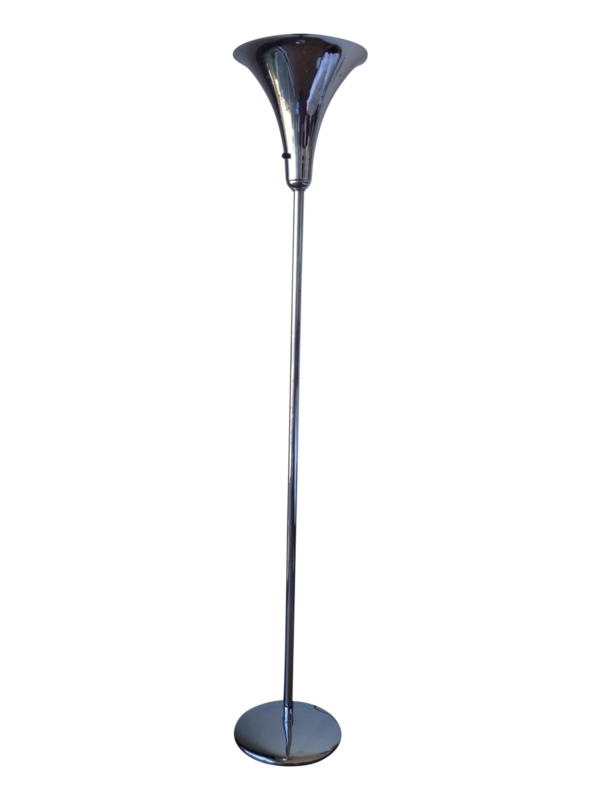 Vintage, 1940s-era, chromed steel torchere attributed to the Ferries Lamp Co. 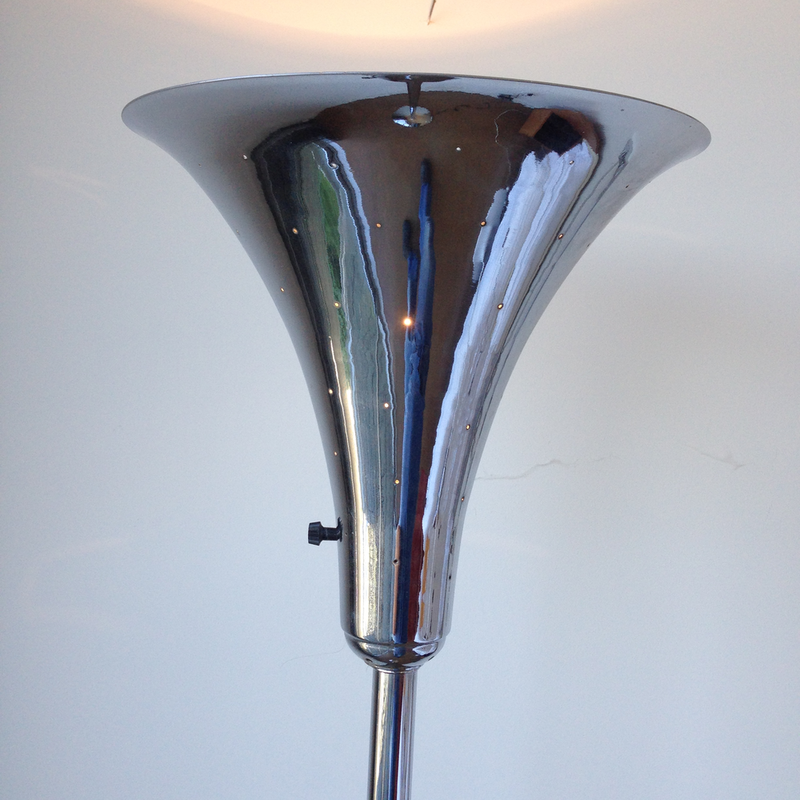 This elegant lamp has been disassembled and had every piece of metal chrome plated. It has also been rewired with a new socket and switch. The perforated conical crown allows little stars of light to escape through the tiny pinholes- a fabulous mood setter! Its austere form complements Art Deco, Mid-century, or contemporary decor.